Alexandria is most commonly referred to as a suburb of Washington and while there are a good deal of commuters that travel from their homes here to the nation’s capital, Alexandria is much more than just a bedroom city. It has received high ratings and reviews for its walkability, its history of being one of the most generous online donating cities in the country, and for being an all-around great city to live in. Old Town may be one of the city’s true gems. It’s difficult to not label the historical neighborhood anything but quaint with its 18th century architecture, a street fully laden with cobblestone, and the ability to take a stroll through pet-friendly Founders Park alongside the Potomac River. Whether it’s for a date, an afternoon with the family, or to shop at the Farmer’s Market, Old Town is precious. If you want to live near Old Town, there’s many apartments for rent available in the immediate area. As you might expect, the area is quite desirable, so rents go for a premium price. The best strategy to find a cheap place is to be patient and use an good finder to keep your options open. While there are many new luxury apartments in the area, it’s possible to find older (but still high quality) apartments with lower rental prices. However, the city is much more than just Old Town. In fact, it’s comprised of fifteen square miles that covers area all the way to Lincolnia in the east and Shirlington to the north. Despite that, there are still suburban neighborhoods that offer decent walkability such as Del Ray. Del Ray is considered one of the most family-friendly neighborhoods in the area. While prices are high for buying, looking for houses for rent and homes for rent in Del Ray may be a good idea before committing to a purchase. The school system is better than most and the crime rate is relatively low. And for the DC commuter residents, highway access is nearby and you have the option of Interstate 395 and Highway 1. Alexandria has several campuses of higher education facilities stationed throughout. North Virginia Community college and the Virginia Theological Seminary (the largest seminary of the Episcopal Church), are both located here. Also there is a Virginia Tech Architecture Center and George Washington University campus near Old Town. If you are a student moving to the area for school, or just a born-and-raised staying to attend, try using a guide to find a studio with all bills paid to cut costs. For lovers of change, the region experiences all four seasons with very moderate extremes. July sees high 80s while January sees lower 40s. Regardless, if you want to save some money, make sure to focus on finding a utilities included place on your apartment search. 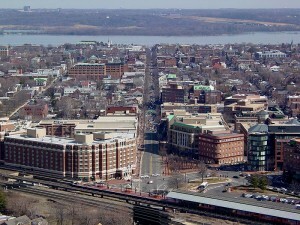 RentLingo is your trusted apartment finder in Alexandria. We hire local experts, such as former property managers and locators to anonymously tour and consistently rate and review every available place. They share their honest and unbiased perspective with you, so you know how every rental ranks in the area. Because our experts tour every property, we can offer consistent apartment ratings across every region. So unlike finding a Backpage or Craigslist rental, you can trust these apartments are verified and trustworthy: whether it's a cheap studio or a one bedroom with all utilities paid all the way up to a nice house for rent or a luxury condo.